Desh Bhagat University Faculty of Computer Science and Applications organised a one day seminar on ‘Organ Donation & Liver Transplant’. The programme was organized in collaboration with an N.G.O, ‘Young Indians’ - a subsidiary of Confederation of Indian Industry (CII). The keynote speaker on this occasion was Dr. Ashish Ahuja (Chairman, Young Indians and Surgeon, Dayanand Medical College,(DMC). While interacting with all present, he stressed that like with blood donation, we can save precious lives by donating organs. We have to ponder and ensure about it and there is a great need of awareness in the society regarding organ transplant and donation, he added. Dr. Suresh, Dr. Hardev Ramandeep Singh Girn and Amit Juneja of ‘Young Indians’ also shared their views on Liver Transplant and organ donation. University Chancellor Dr. Zora Singh, while speaking on the occasion explained that organ donation like eye, liver and kidney etc. are not so popular in our country due to ignorance and a host of superstition among the people. So it is very important to enlighten the society about it and our youth can make a big change in this matter. Pro chancellor Ms. Tajinder Kaur stated that the objective of this seminar is to create awareness among the people about organ donation. Vice Chancellor Dr. Shalini Gupta said that Organ Donation is a very important humane issue that needs to be propagated and popularized in every possible way. The expert team which came to the university also showed a Tele-film on Organ Donation. 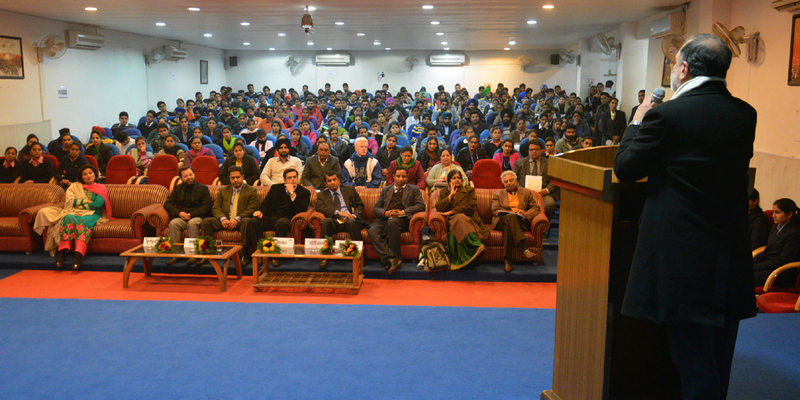 The students from different faculties including Management, Nursing, Ayurveda, Engineering and others asked relevant questions from the experts, which were aptly answered. Director (Academics) Dr. Rajesh Goyal, Director Dr. Kulbhushan, staff members from different faculties were also present on this occasion.